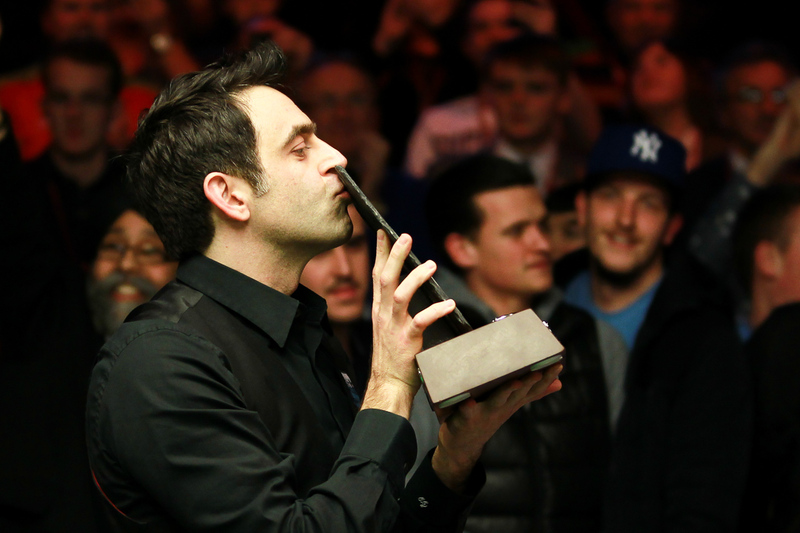 Ronnie O’Sullivan came from 5-2 down to beat Neil Robertson 9-5 in the final of the BetVictor Welsh Open in Cardiff. 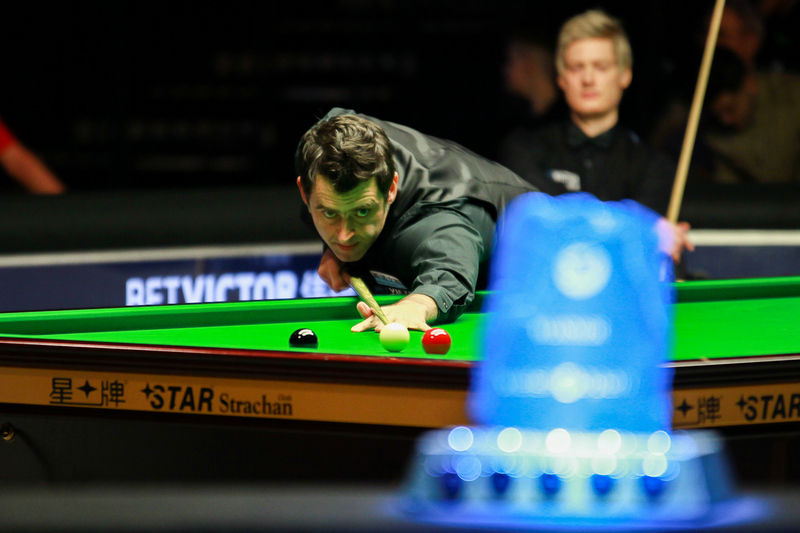 An enthralling match appeared to be going Robertson’s way when he controlled the early stages, but a handful of errors in the evening session cost him as O’Sullivan caught fire. It was a blistering finish to the tournament from O’Sullivan in a week which has seen him produce brilliant snooker even by his own high standards. The Rocket won his fourth Welsh Open crown, matching the record set by John Higgins last year, and the 28th ranking title of his career, equalling the tallies of Higgins and Steve Davis. Only Stephen Hendry is ahead of that formidable trio on 36. The £60,000 top prize moves Chigwell’s 40-year-old O’Sullivan up one place to fourth in the world rankings and also makes him eligible to enter the World Grand Prix in Llandudno next month. In winning seven matches this week, O’Sullivan has won 36 frames and conceded just 11, making ten centuries in the process. After taking a few months off at the start of the season, he has won 19 consecutive matches in 2016, capturing the Masters and Welsh Open titles as well as winning a Championship League group. Yesterday, O’Sullivan had compared Robertson to RoboCop for his composure and ruthlessness, but the Australian finished the final disappointed with the mistakes he made when he was in charge. The 34-year-old missed out on the chance to win a 12th ranking title and add this trophy to those he won at the Champion of Champions and UK Championship before Christmas. He earns £30,000 and stays third in the rankings. Today’s two finalists will surely be the favourites for the World Championship title come the Spring. Leading 5-3 after the first session, Robertson had a chance to extend his lead in the opening frame tonight but missed a red to a centre pocket on 39. O’Sullivan replied with 57 before playing safe on the last red, and he later potted the red to reduce his arrears. Both players passed up chances in frame ten and it came down to the last two reds. 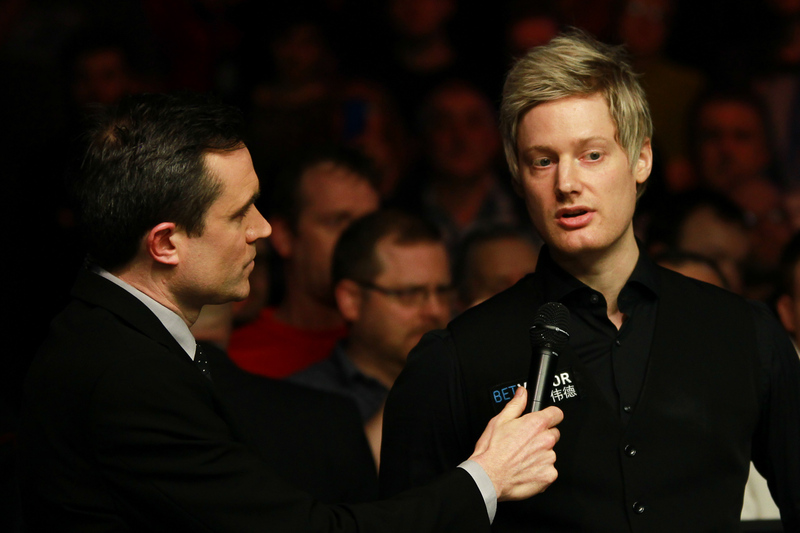 Robertson narrowly failed to convert a long pot and his opponent took advantage to level at 5-5. And a break of 67 in the next gave the Englishman the lead for the first time. Robertson had the first clear chance in frame 12 but could only make 21 before missing a tricky red to a top corner. O’Sullivan punished him with a run of 70 to lead 7-5. Keeping his momentum building after the interval, O’Sullivan dominated the 13th frame with a break of 61 to move within one of the title. Typically, he finished in fabulous fashion as a long red set up a 141 total clearance. “I just hung in there in the first session because nothing quite happened for me,” said five-time World Champion O’Sullivan. “I tried to stay positive, using all the skills that I’ve learned from (psychiatrist) Steve Peters over the last four or five years. “Neil steam-rollered me, kept me tight and played some hard match snooker. I only got going towards the end. It wasn’t the best match in the world but not the worst either. “The record books don’t bother me, I’m not really interested in that. I’m interested in just enjoying the game, as I have this week. Even if I had lost in the final it still would have been a great week. “I’m not getting better, you don’t get better from 35 onwards. You just have to try to maintain what you’ve got and look after it. I’ve just recaptured what was always there and it’s nice to find it coming out now and again. Robertson said: “I just missed a couple of awkward shots tonight and he was getting into his groove. He never had to pot a ball more than two feet away to get in. I made it pretty easy for him and he’s a very special player to be able to construct the breaks as quickly as he does. But the first two frames tonight, I should never have lost those. I missed a tricky pink in the middle and a really tricky red in the middle, two shots that caught the jaws. If they go in I go on to win the frame. “From 5-5 he gathered pace and he is pretty hard to stop. Overall I had a good week, but losing any final is tough to take. I’ve won my previous two finals so the law of averages will say that I’m probably going to lose one.